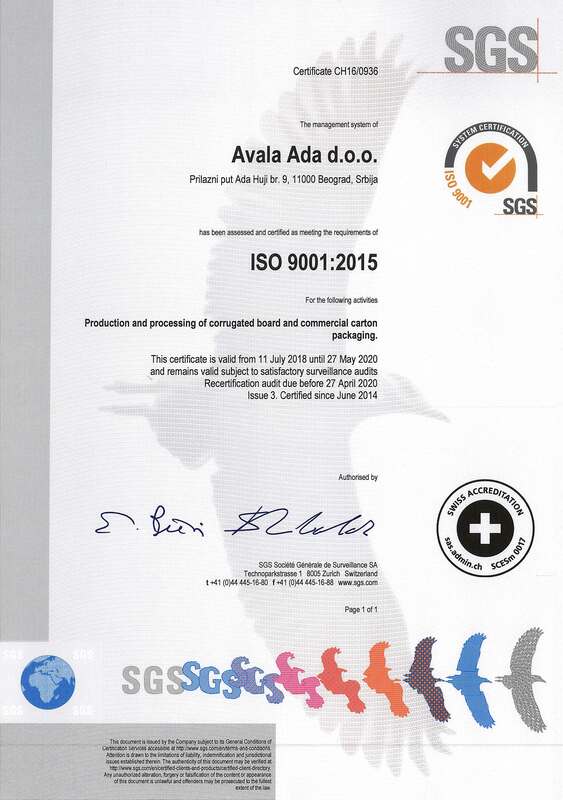 Avala Ada d.o.o. 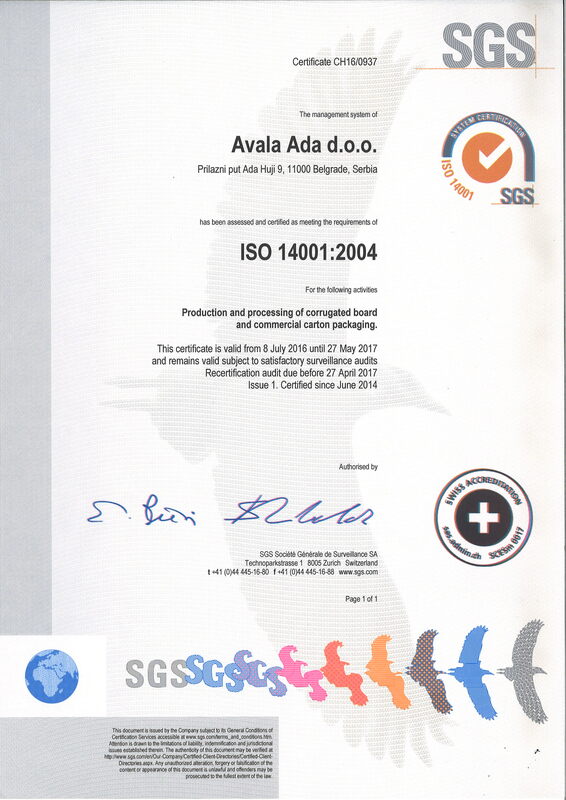 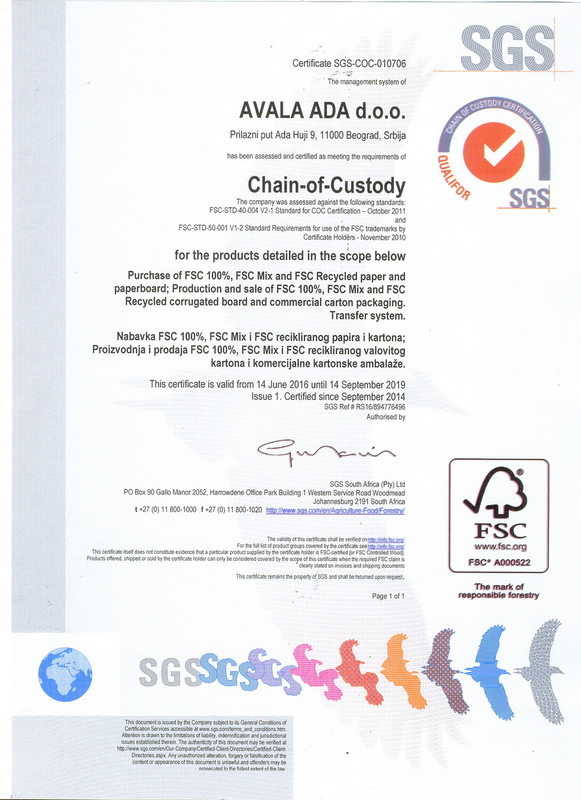 established an integrated system of management, using the standards ISO 9001, ISO 14001, OHSAS 18001, FSSC 22000 and FSC CoC for the production of transport and chrome cardboard packaging. 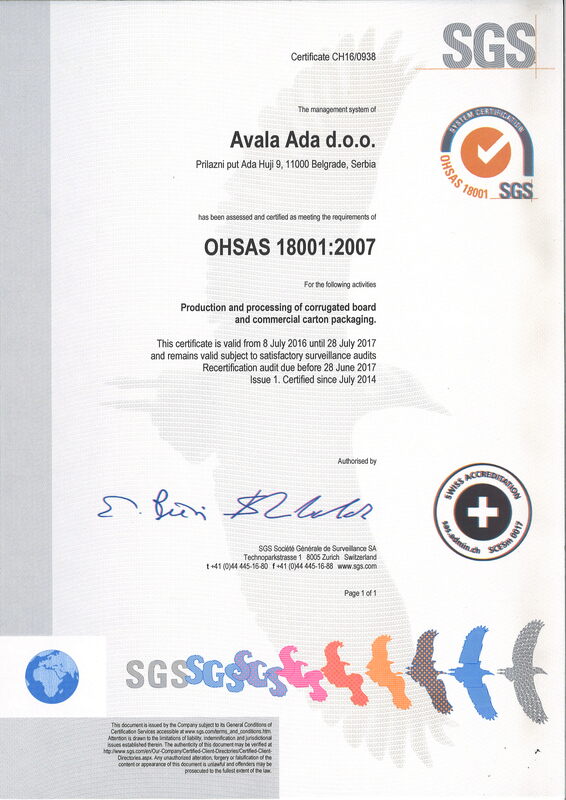 The quality of products and business processes, customer satisfaction, safety of all the employees and environmental protection are our primary concerns. 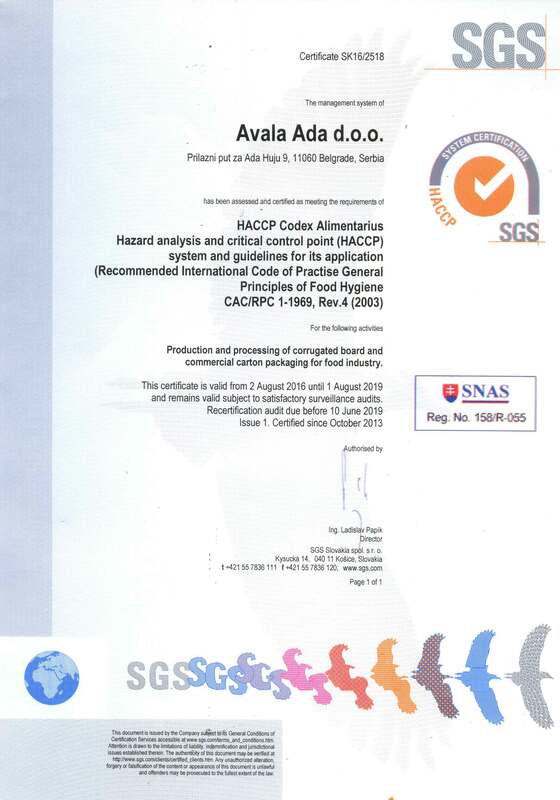 Thoroughly documented system, definition, implementation and monitoring of objectives, continuous analysis and review of the business, management of nonconformities, defining and applying the preventive and corrective measures, and suggestions for the improvement, training and development of the employees are the foundation for continuous business improvement. 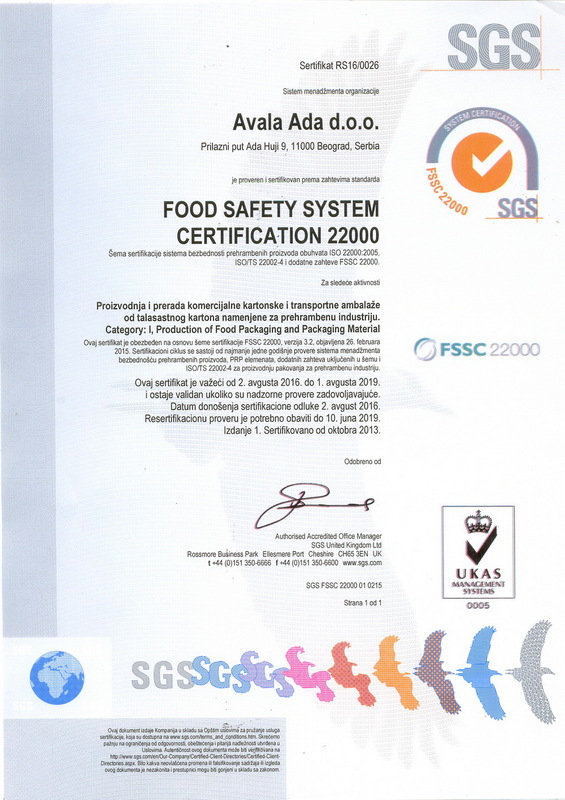 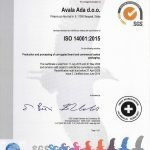 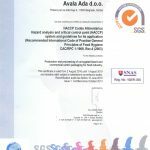 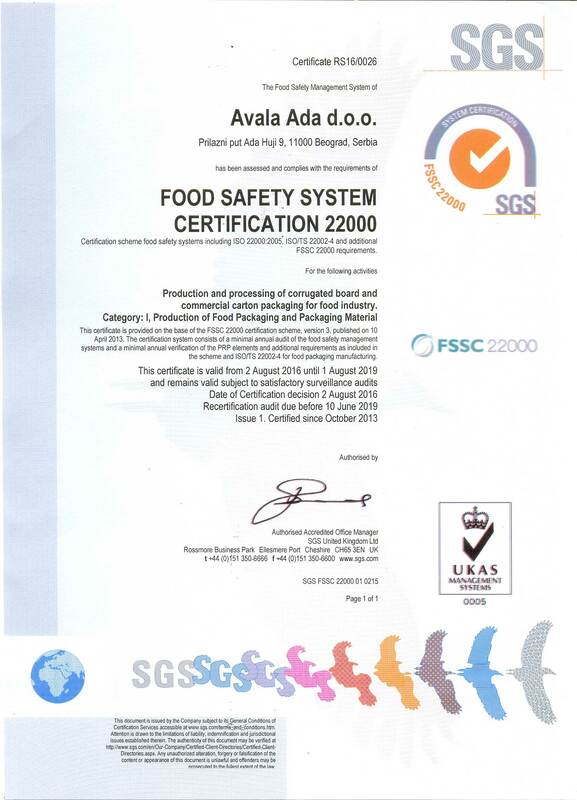 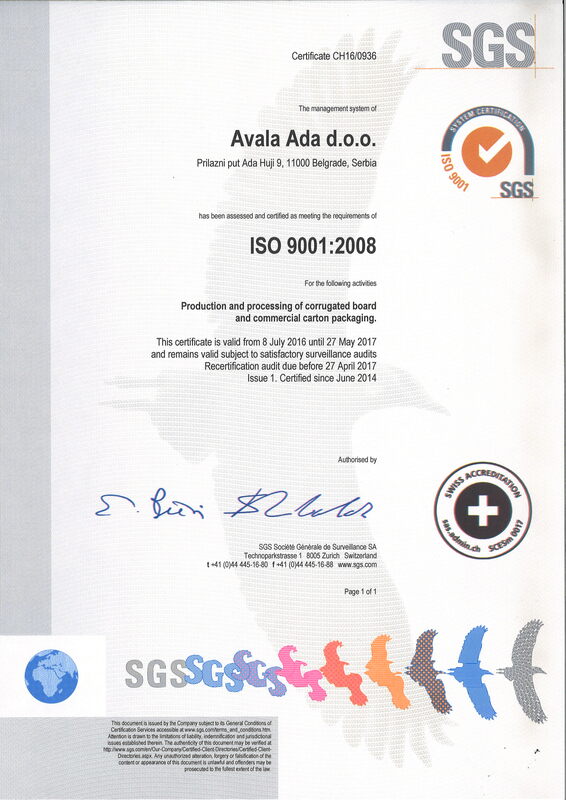 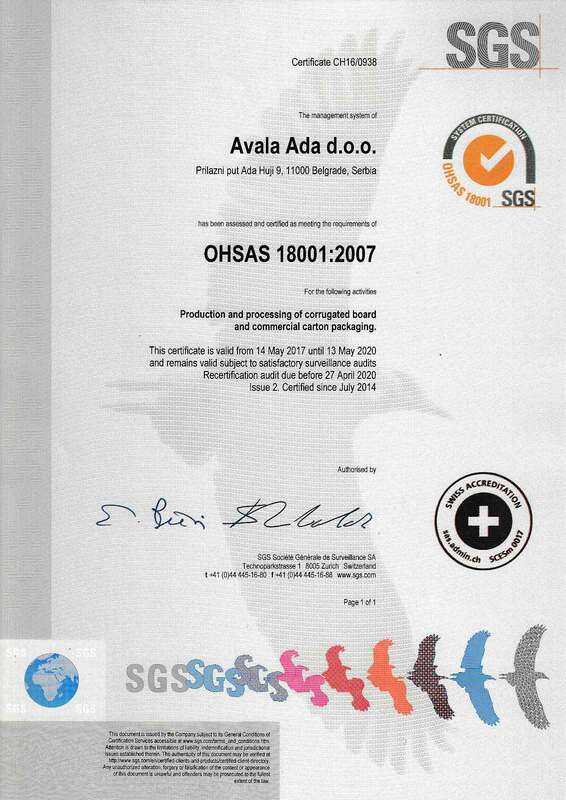 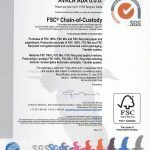 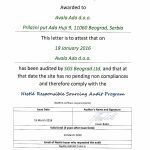 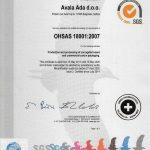 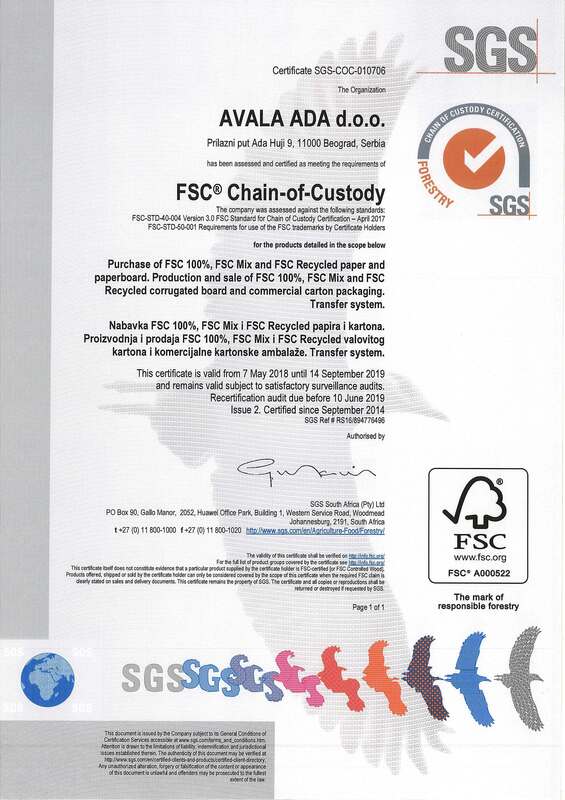 Increasing emphasis is placed on the Product Safety Management system in accordance with the FSSC 22000 standard, for which we have received a certificate back in 2013. 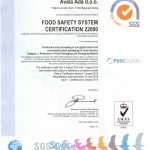 We apply a multitude of measures aimed at achieving and preserving the product safety, involving all the employees who are trained and aware of the importance of our product, as well as of the products in the food chain. 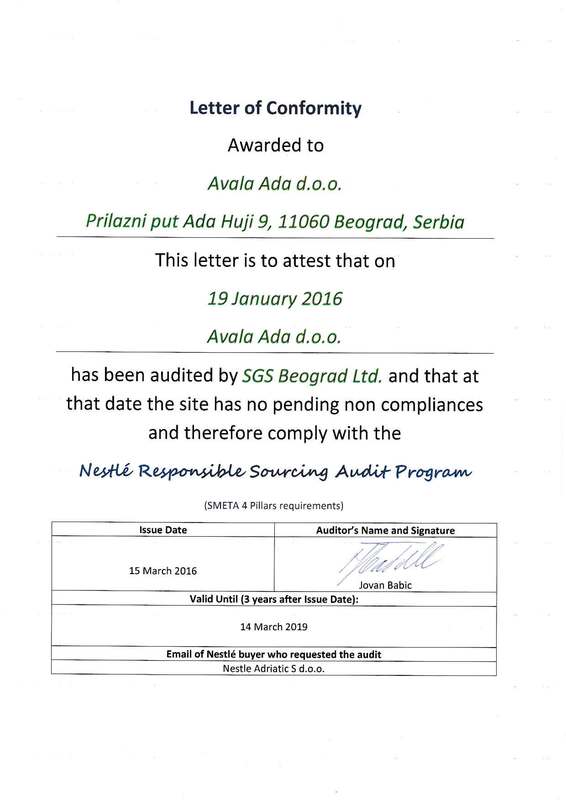 Accordingly, we adopted a policy of Integrated Management System as the foundation for goals related to leading this company, ensuring it stays afloat in the market, ensuring the safety of our products, safety of all the employees working at our company and the environmental protection.